The Underhill Cottages were brought about due to the success of Sunset Heights, which drew other real estate investors to ’Sconset. In 1879, the land known as the Pochick Lot was sold by the heirs of Matthew Crosby to Edward F. Underhill of New York City. His development featured very different cottages from Robinson’s Victorians. 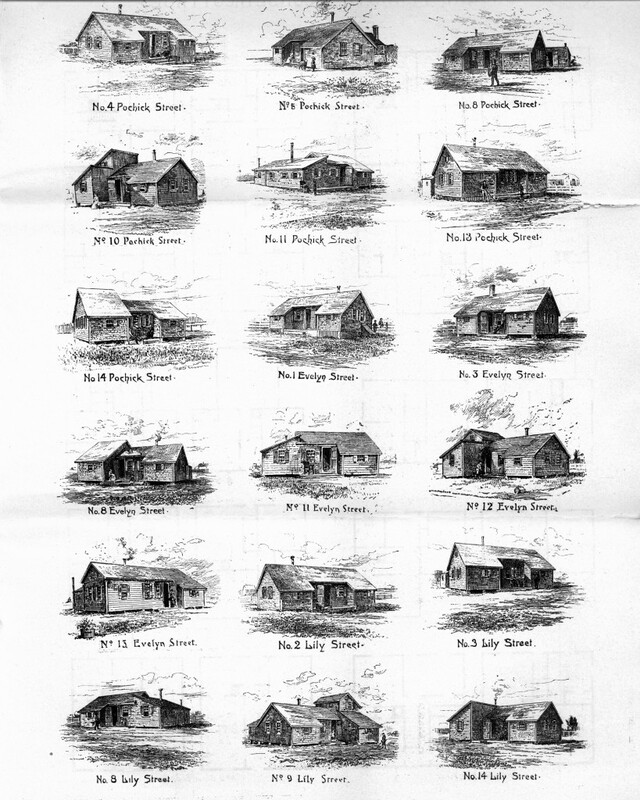 Underhill modeled the Pochick cottages after the fish shanties in the village core along Broadway, Center and Shell streets—using the same architectural vocabulary including warts, T-shaped plans and half gable roofs. He soon purchased additional land to the west—present day Evelyn and Lily Streets (named for his wife and daughter) to extend his cottage development. At the Pochick lot, Underhill created a road down the middle of the parcel, and immediately began construction on his own cottage, China Closet, at the east end, on the south side of the street (now a secondary cottage for the house on Ocean Avenue). Underhill was a man of many talents and was perhaps one of the most famous Sconseter’s of the nineteenth century. 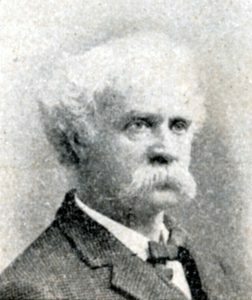 He was a Civil War reporter for The New York Times in the 1860s, a journalist for the New York Tribune in the 1880s, a famous New York court stenographer in an era when a court stenographer could be famous, a vineyard owner, rare book and china collector, noted wit, and ’Sconset enthusiast. He was especially gifted as a writer and promoter and is responsible for luring visitors to the village from across the country. They are built . . . following the traditions of the builders of a hundred years ago, who made their houses strong and compact for comfort and convenience and with no thought that the structures they reared would ever be in demand for the residences of families from distant parts during the warm season. The only variations I have made from the strict simplicity of ’Sconset architecture are to have the apartments more commodious, and to avail myself of a few accessories which improve the appearance of the dwellings without, in the least degree, giving them the ornate look of modern built cottages at our fashionable seaside resorts. Each house has a small cellar, a cistern abundantly supplied with rain water, and is completely furnished for house-keeping, even to the extent of providing crockery, cutlery and bed and table linen. The bedsteads are of modern style and are furnished with spring bottoms and mattresses of the best quality curled hair. Each house is situated on a lot having a frontage of 55 feet with a full area of 3,300 square feet of ground. One of the quirkiest Underhill creations was the construction of extra rooms on wheels that could be rolled up to a cottage for additional living space. This invention was most likely constructed by Asa Jones, along with George W. Rogers, Underhill’s carpenters of choice. 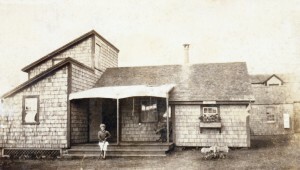 The cottages along Pochick, and Lily and Evelyn (named for Underhill’s daughter and wife), appear to have been built over several years, but individual cottages were built quickly—often completed according to newspaper accounts within 10 or 14 days. The cottage of Mrs. Evelyn Underhill, circa 1900. 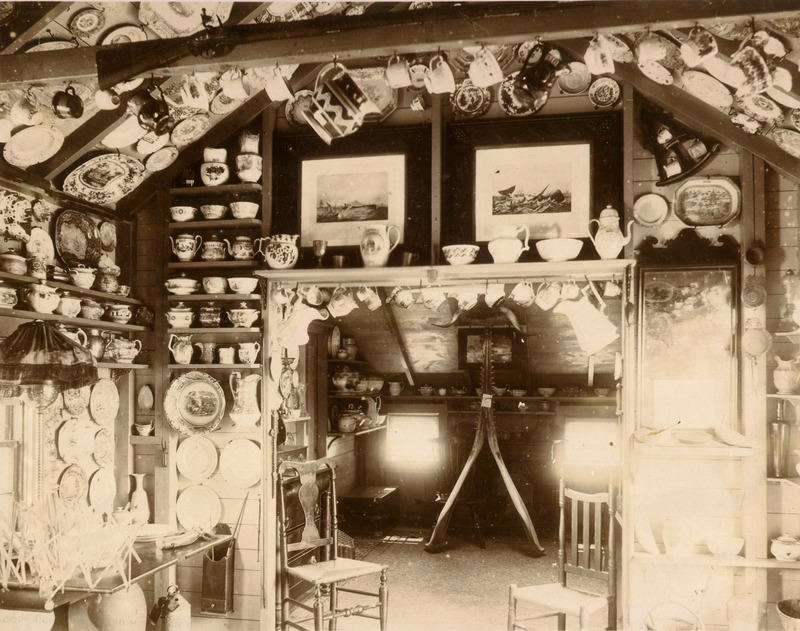 The walls and ceiling of the cottage interior were lined with china collections, dishes, and tea services. By the early 1890s, Underhill community was complete and was thriving with nearly two dozen cottages. It quickly became known as the village’s “Actors’ Colony,” due to it being largely populated by Broadway actors and actresses, artists and writers, and other bohemian types. 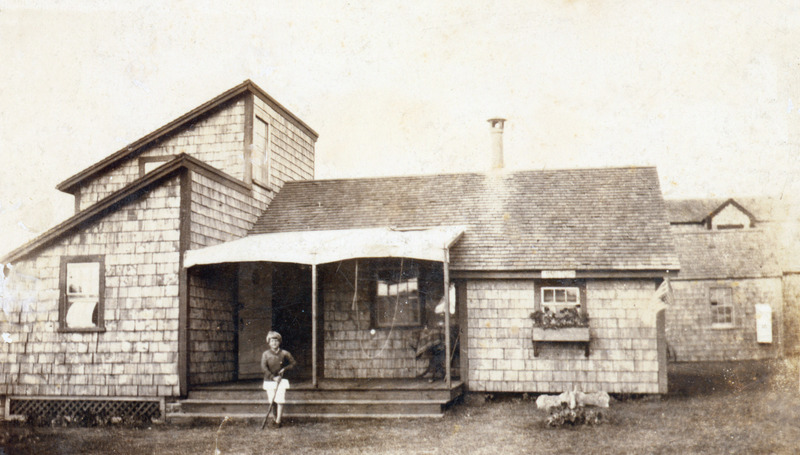 The Underhill cottages continued to be rented until the mid 1920’s – often by the same families, year after year. Are you interested in learning more about these cottages? Join the last ‘Sconset Architectural Walking Tour of the 2016 season!